The bruises had faded, but how many more were to come? The pain had subsided but was still fresh in her memory. 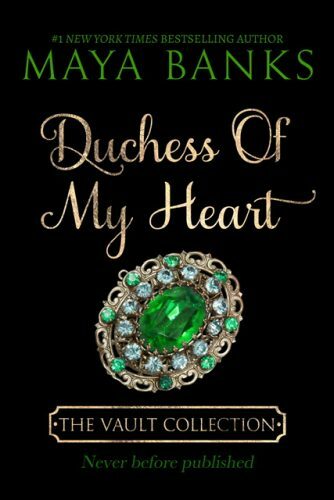 Closing her eyes against the vivid images playing over and over in her mind, Jillian St. James, Countess of Penroth, turned away from the window of her bedchamber. Her prison. Lightening flashed, illuminating the darkened interior, and she tensed as she awaited the boom of thunder that was sure to follow. A lone candle flickered, casting eerie shadows on the wall then waned as the flame went out. The earl had departed for France a month earlier, and she still bore the marks of his farewell gift. She rubbed absently at her wrist, still sore from the violent twisting it had received. He could return at any moment. Already he was a day late, but he loved to arrive when she least expected it, gleeful in his ability to intimidate her, to terrorize her. Fear knotted her throat, and dread settled over her like a suffocating blanket. Her breathing became rapid, and she fought to keep the panic at bay. Would he bring the others with him? Nausea swelled in her stomach, and she choked back the bile. She whirled around, staring at the door in terror as she heard footsteps echo down the long corridor leading to her chamber. A scream lodged in her throat, but she swallowed it down. She had learned early that screaming didn’t help. Like a marble statue, she stood in the center of her bedchamber, waiting, and dying a little more with each breath. The month’s reprieve had not been a reprieve at all, for she had spent each day in dread of his return. The servants, all loyal to him, watched and waited for something to report to their master. Their reward would be great for giving him something to punish her for. As if he needed a reason. The steps drew closer and stopped outside her door. It creaked as it slowly opened, and she drew herself up, determined not to cower. A shadowy form stepped inside the room and paused, looking around—for her, no doubt. “Jilly, there is something I must tell you. Come sit down, this is going to come as a shock.” He led her over to an armchair by the window. Lightning illuminated the distant sky as the storm moved further away. She sat and her gaze flitted to the door. Her husband wouldn’t have to witness Case’s presence first hand. The servants would be all too willing to report. Case…her friend and the only person she trusted in the world. He looked uncomfortable, as if unsure of how to go about saying what it was that plagued him. “What is it?” she asked. He hesitated a moment and took her hand in his. “Penroth’s ship went down at sea. There were no survivors.” He watched her closely, waiting her reaction. Her eyes narrowed and anger seized her. She wouldn’t have thought Case to be cruel. He had been an unwavering source of support in the last few months. “What kind of sick jest is this?” she asked sharply. Her mind fought to make sense of what Case was telling her. Had her prayer been answered? Had the litany she had chanted for the past six months filtered up to God’s ears, and had he taken mercy on her? No, it wasn’t possible that she could be free from the hell she had descended into on the day of her marriage. “I am not amused,” she choked out. “Then I am free?” she asked in wonder. Dare she hope that her nightmare was over? Had the devil been thrown back to hell? Case nodded and tears filled her eyes as months of fear and horror came pouring out of her. Her relief was overwhelming. Just moments earlier she had been preparing herself for the worst, and now she was forever absolved of such terror. “You don’t have to do anything you don’t wish,” Case murmured. She stood and paced the floor in agitation. “I won’t live here.” She would never live in this hellish estate. It could rot to the ground for all she cared. Though she had not had time to present her husband with an heir, she was sure his solicitors would find some distant cousin to fill the role. She strode to the wardrobe and began throwing a few dresses onto the bed. “What are you doing?” Case asked as he walked up behind her.